Inspiration is found in places, people and experiences. As a creative team we work to bring inspiration to our client’s brands, the products we create and the authentic experience of the consumer. We are storytellers of brand heritage, craft, future innovation and the love of building emotional connections that endure when a product concept is realized in the environment it was designed for. As business partners, Britta and I try to keep that essence of inspiration in our vision of success. We also believe that together we are better and as a result, our friendship is at the core of our business. Once a year we plan a journey together when we take the time to step out of our daily roles and into one of curious world citizens...to be inspired and to deepen our own personal connection. This year's journey took us to Peru and more specifically, a 25 mile hike up and down, and up again, along the Inca Trail to the ancient ruins of Machu Picchu. Along the way we....discovered the energy-giving qualities of coca leaves, navigated rock wall tunnels, beheld the beauty of wild orchids growing in their natural habitat, learned how the Incas sent messages to each other with alpaca yarn tied into knots (known as Quipus, or "talking knots")...and so much more. About the Peruvian culture, it's people and history, as well as our own physical strengths...and most importantly, each other, our vision for our business and how we can translate that into inspiration for our clients. Excitement of the 4 days ahead of us. 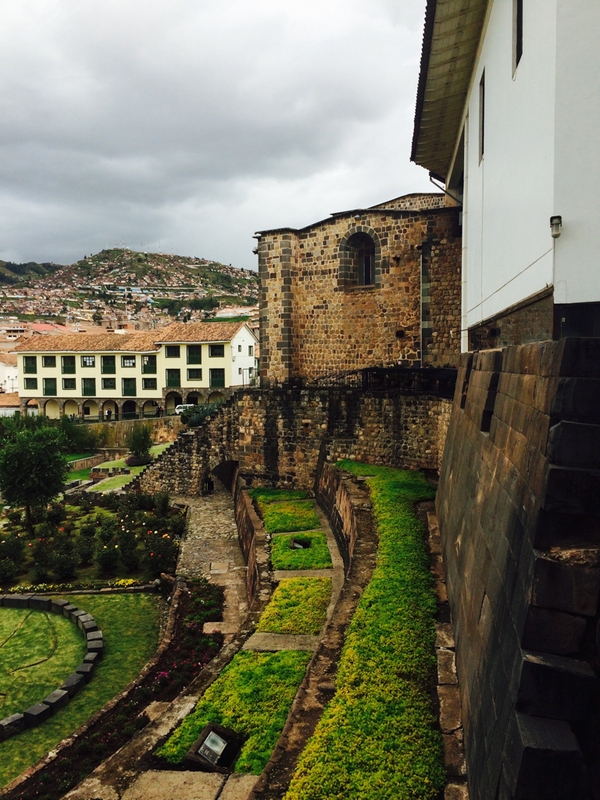 The day started at 4:30 am with a bus ride to Kilometer 82 - the entry point to Inca Trail. Mentally preparing for long tough hike and the endurance that will be needed. Total distance today: 7 miles, 5-6 hours of “moderate” hiking. 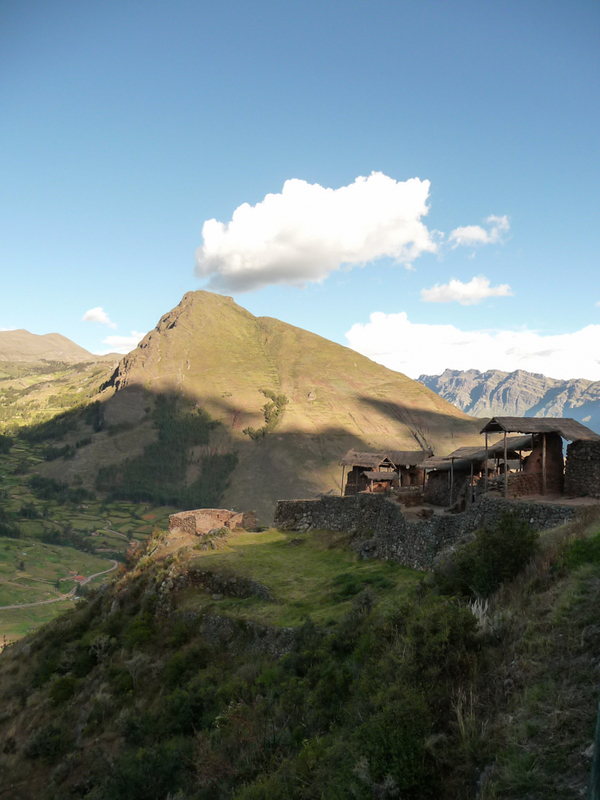 Views of Inca sites: Patallacta, Urumbamba mountain range that divides the jungle and the Andes. View of highest mountain peak “Veronica” covered in snow. Upon arrival of first camp site we were greeted with rounds of applause for making it thru day 1!!! Most impressive day- hiked to archaeological site of Phuyupatamarca meaning “town in the clouds”. Hiked to our 3rd highest point - views from here of the mountains, the canyons and Inca sites. Agricultural site of Intipata. We arrive at our 3rd campsite by lunch time allowing us to rest or explore other nearby ancient sites. Wake up time 3:30 am to arrive at entry “Sun gate" to Machu Picchu by 5:30 am. First part of the hike in the dark! 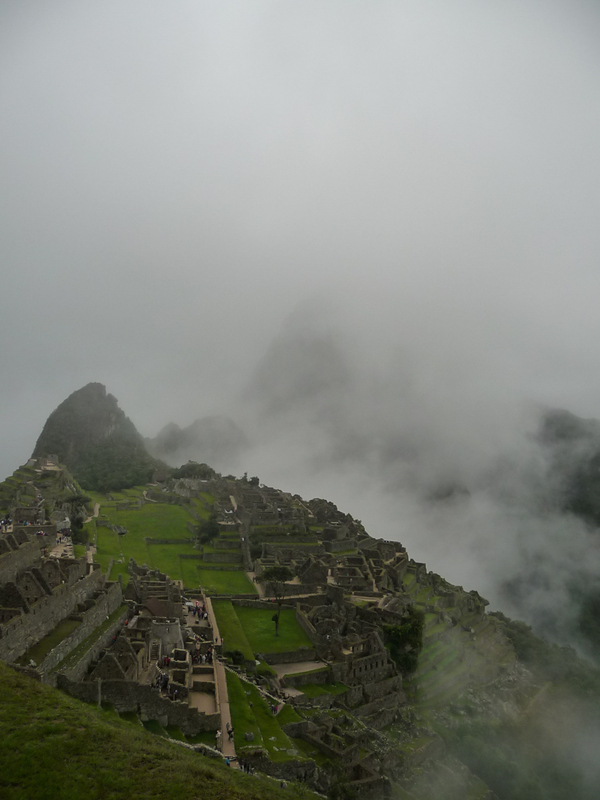 This is where the first dramatic views of Machu Pichhu are seen- both Rebecca and I are teary eyed at the site. We hiked down the trail to get into M.P. itself and spent 2 hours getting a tour thru the ruins - was pouring rain and we were drenched down to our underwear…really. After our visit we are bused back to the town of M.P. where we celebrate with a nice lunch and Pisco Sours before we take a train back to Cusco.